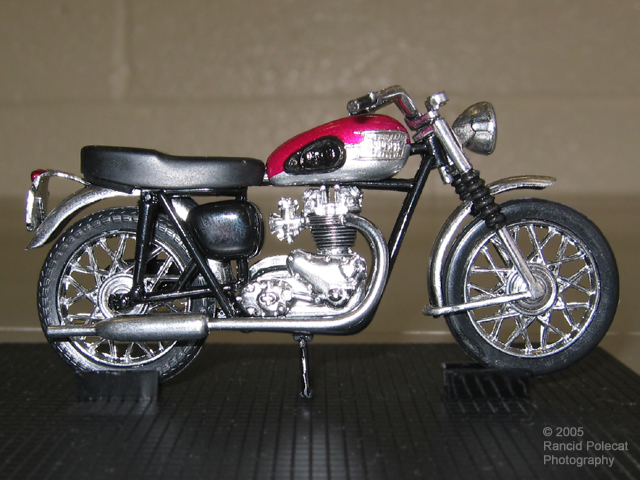 If you want to build one of these motorcycles today, without spending the few hundred dollars it would take to buy all the right original 1962 kits, The Replicas and Miniatures Company of Maryland (R&M Co.) has come to your aid by casting all the parts, and then some, in resin. In 1963, AMT rewared the more patient and less financially well-endowed modelers by placing the entire motorcycle kit along with extra racing and custom parts in the 1963 Chevy pickup kit. It is this 40-piece version that R&M Co. has reproduced.